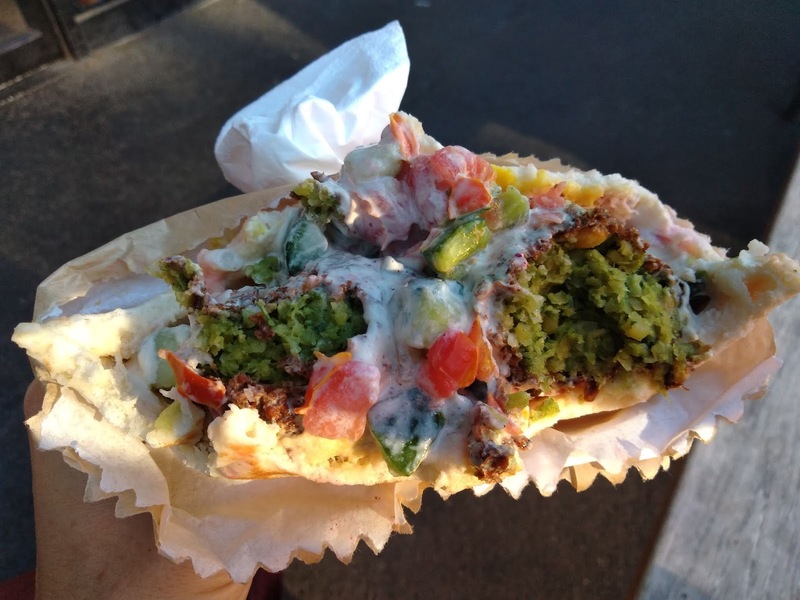 I love falafel, especially when it is good, even better if it is very good. Being vegetarian for the past 23 years (showing my age, I know) falafel is a well known staple to my diet. I’m happy to see so many fresh and trendy eateries popping up specialising in this cuisine. Tahina in Northcote, Danny’s @525, Omisi… these are some of my usual haunts. On the Brunswick side of Sydney Road, Very Good Falafel is busy at all times of the day. Its menu is simple: pitas, hummus plates, salads, drinks. The interior is in typical hipster style, clean, with an open kitchen and small tables to the side. This is not a spot to linger for a long dinner and deep and meaningful. The falafel is made fresh. It is moist and flavoured with plentiful herbs. The pita includes lots of wet, pickled cucumber, hummus, tahini, and Israeli salad with small chopped cucumber and tomato. 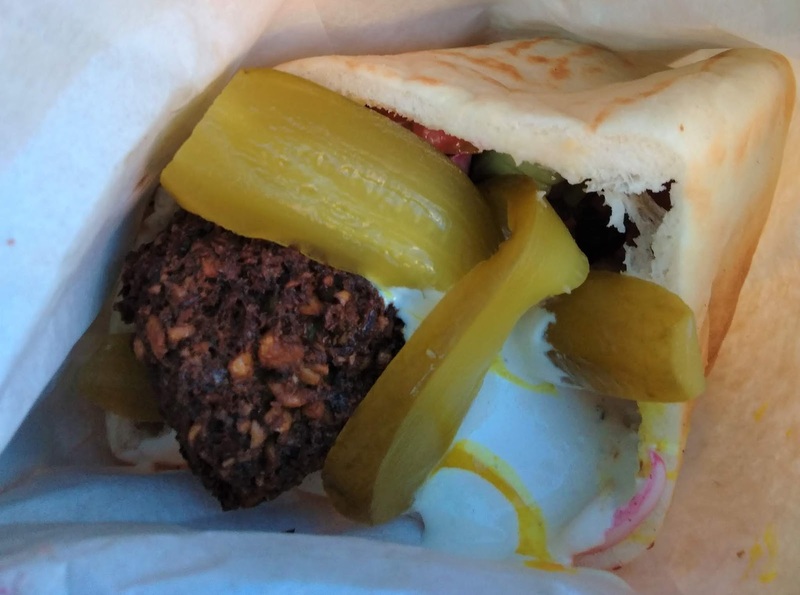 There is less salad than other falafel bars, but the falafels themselves are a standout. The food is made quickly and eaten quickly. You can chat to your neighbour along the front bar stools, or grab an easy take-away. In the end, it lives up to it’s name. Opening Hours: Monday to Saturday, 11am to 10pm.